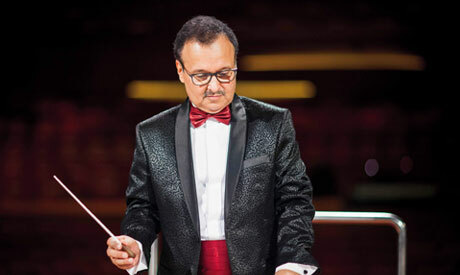 Wahid Al-Khan is a unique Bahraini musician, multimedia show designer and businessman with broad exposure across the music, entertainment, management and development sectors. He studied in the Conservatory of Cairo under the supervision of Professor Samha El-Khouly and many other international instructors and reputed mentors from the former Soviet Union during the period of cultural cooperation between Egypt and the Soviet Union. El-Khan also designed and directed numerous multimedia shows in grand ceremonies and major international events and finally returned with his new project, 'The Return,' which he performed at the 27th edition of the Arab Music Festival held in Cairo in November. 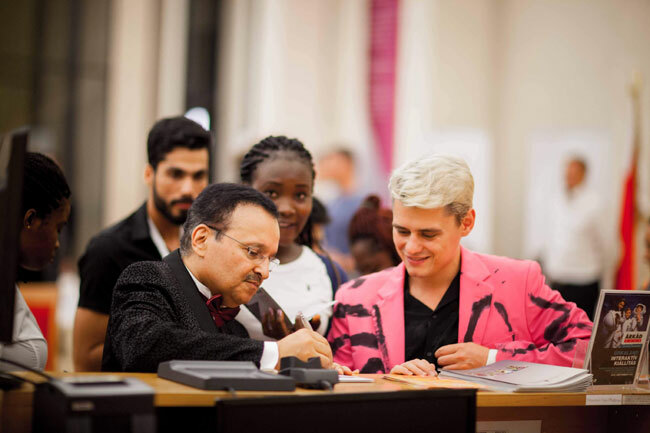 Ahram Online spoke to Al-Khan during his visit to Al-Ahram headquarters which he deemed "a dream come true to be inside a building that saw giants like Mohamed Hassanein Heikal and other great writers." Ahram Online (AO): What is music for Wahid Al-Khan? Wahid Al-Khan (WA): Music is a universal language, and for me, music is most of my life. It's an art and a tool to transform specific emotions, messages and ideas. I consider music the most beautiful tool and art. AO: When did your passion for music start? WA: Early in childhood, since I am a member of a family that appreciates the arts. My grandparents were artists. My grandfather was a poet and my grandmother played an instrument. He used to read poetry while she played music. Then my uncles started to play music too and I learned from their youngest. Our ages were similar. He taught me to play accordion before I continued studying at school, while the Bahraini Ministry of Education used to care more about music before the conservative movement negatively influence education. I had to choose between studying petroleum engineering and music, so I chose music and joined the Conservatory in 1974. AO: What is the best age to start studying music? WA: Art is not limited with age, although perfection needs an early-age start. I used to have an institute that trains beginners and we had students from all different ages and they used to learn despite their ages. Music as a hobby is for everyone, but professionalism requires studying at a very early age. It's notable that when you learn music at an early age, you become outstanding in your profession. For example, [Russian President Vladimir] Putin was a musician, [former US President Bill] Clinton was a musician, [former US Secretary of State] Condoleezza Rice and half of the members of England's parliament were musicians. AO: Tell us about Egypt when you came first to study? WA: I came to study music in Egypt in 1974. Everything in Egypt was eye-catching, and the Conservatory had giant professors such as Dr Samha El-Khouly. When I joined the Conservatory I wanted to study violin, but I couldn't because studying violin should start at an early age. I then chose learning the Oboe amongst a group of the best students of the history of the institute. The competition was very tough with many of them currently at the top. I had to compete with Enas Abdel-Dayem, currently Egypt's minister of culture, Yehia El-Mogy and Basma Abdel-Rehim. I also remember being a colleague with Jihan Morsi, currently president of the Arab Music Festival. It was a great experience. Training took more than eight hours a day, which was really tough. However, while walking through the institute I could see amazing people studying, Entering the singing hall, I could hear the opera singing of Hassan Kamy. Opera instructors were greeting each other with joyful opera singing. The professors thought that studying was easy, but this is totally untrue. And here I want to explain that there is a big difference between studying at the Conservatory and the Arabic Music Institute, because the latter is so much easier and students pass exams. The Conservatory is very exhausting and its test only could be passed by excellent students. 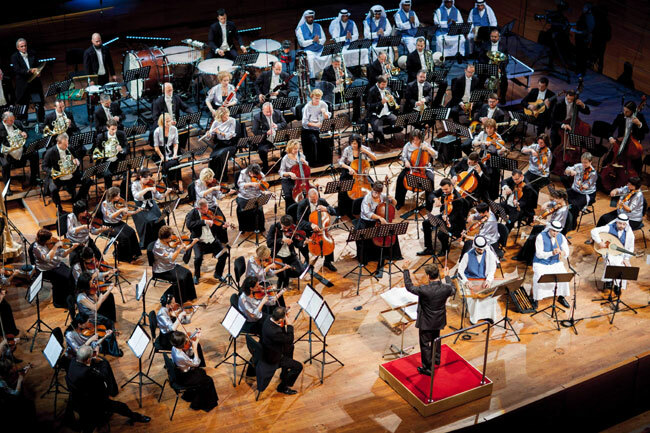 Students from the Gulf Cooperation Council at the Conservatory are only Bahraini. Honestly, Bahrainis always take the hardest route. AO: What is your opinion about the underground music spreading in Egypt, and maybe in the whole Arab world, and what do you think about rap music? WA: Due to my experience, I am not worried about Arabic music at all. We used to think that the new generation doesn't prefer classic Arabic music, but yesterday we were in a concert and while there was some Western music played, as soon as performers started to play Eastern music I saw huge interaction from among youngsters. The youth upon reaching maturity most of the time return to their original emotions, created and developed by tasting Eastern music. Returning to the point of the underground movement, it's a very good phenomenon. It's popular music with no complexity and all enjoy it. From the underground scene in the world, great artists appeared. Generally, it's a positive thing to have such a movement and I demand those responsible of culture in the Arab world boost this current and support it with public performing in the streets. Speaking about rap, I believe it's not music. It's a specific expression because of its monotony that depends on the lyrics and it doesn't suit us or make us feel entertained. AO: Speaking about the difference between Eastern and Western music, to where do these differences take us? WA: I think music is music, no matter if it is Eastern, Western, Indian or Chinese. It's the same universal language that has different dialects. If you get to know it, you will find it easy even for Sudanese or Japanese. AO: Tell us about your latest project 'The Return.' Normally, a musician is asked to compose for a story, not the opposite, which is what you did. WA: The Return is a historical documentary that highlights the return journey of His Majesty Sheikh Isa Bin Ali Al-Khalifa to Bahrain as governor chosen by Bahraini people, and you should know that Sheikh Isa Bin Ali is the grandfather of His Majesty Hamad Bin Khalifa, the founder of the modern state in Bahrain. The music describes a scene of a ship sailing through waves using the "almkholvi" rhythm, derived from songs about diving for pearls. Bahrain residents receive the news of the return of Sheikh Isa Bin Ali Al-Khalifa, and old and young alike welcome the governor, this translated to a distinctive musical scene. To tell you the story of the making of 'The Return,' let me explain that the Bahraini interior minister was supervising an important documentary for the state. He demanded I return to Bahrain from Dubai in 2010, which made me think of this project. I tried to introduce a new idea and a new style, so I introduced orchestral pieces. World music means music that is listened to by all people. I chose this genre, but the soul of the music I chose is Bahraini. The project aims to present Bahrain to the whole world. I started with a concert in Hungary to see the feedback from outside my region, and it was outstanding. Beautiful music reaches your heart. 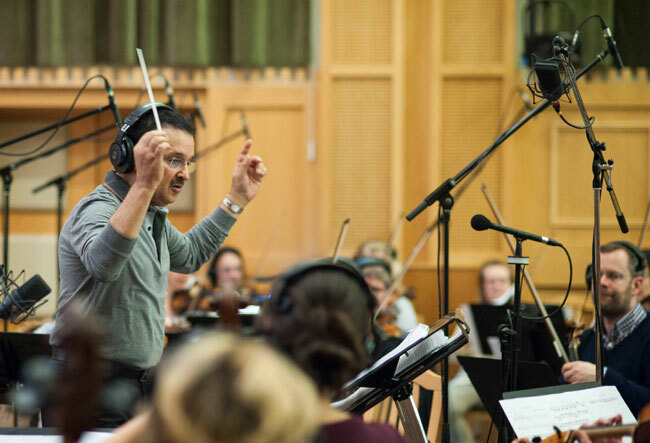 Orchestral composing is very tough work, with lots of details and exhausting steps. There are musicians who write Western parts followed by Eastern parts in the same piece, but I didn't do that. I blended everything together.